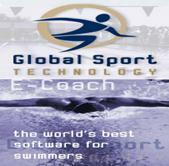 The Global Sport Technology, Inc offers several unique products to coaches, athletes, physical therapists, athletic trainers, and physicians. Our products are used with athletes in all sports. Physical therapists use our vibrotherapy/vibrotraining machines to rehabilitate patients. Vertical Swim Trainer is the best swim trainer ever created. Based on Swim Power research, our engineers designed a trainer, which improves body position, stroke technique, and power. It includes rotation and tipping mechanisms forcing swimmers to keep a streamline body position to reduce drag in the water. To see video, click on the picture. Vertical Swim Trainer BUY NOW! Vibrotherapy/ Vibrotraining Machine is a perfect equipment to reduce pain, facilitate recovery, and strengthen muscles. It works great for soft tissues, such as muscles, tendons, and ligaments. Many studies in peer-reviewed magazines proved effectiveness of this technology. It is used extensively in physical therapy, rehabilitation, and sport. 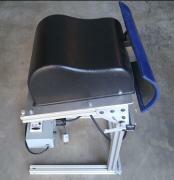 Vibrotherapy/ Vibrotraining Machine BUY NOW!